Soldier’s Buckler - Museum Replicas Battlecry(300501) Decorative and re-enactment armour, medieval armour, european armour, fantasy armour, japanese armour, for collectors and re-enactors. 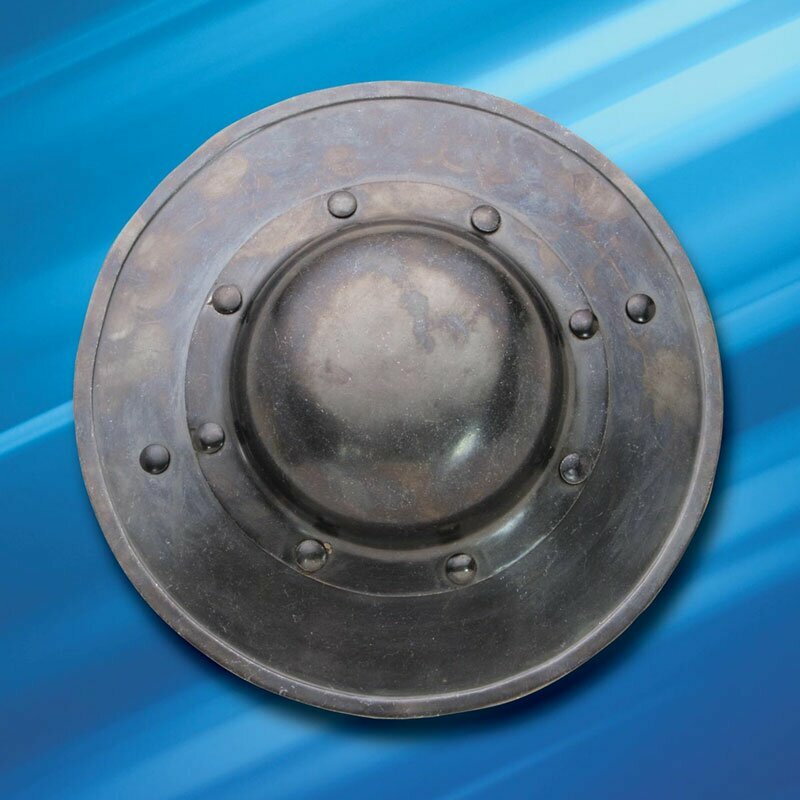 This Soldier’s Buckler is from Windlass Steelcrafts Battlecry collection. Designed specifically to be used and made from 1065 high carbon steel with a darkened, battle-hardened finish and tempering to a low 50's RC. This fist shield has gone through rigorous testing. The hands-on nature of the manufacturing by master smiths makes this line unique. Includes custom packaging and certificate of authenticity signed by each smith that touched your shield through every step of the forging process.